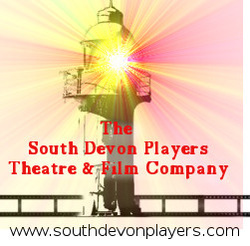 The South Devon Players community theatre company is a small non-profit community-based theatre company based in South Devon, England. We have no paid staff. All members, performers and helpers are unpaid. Any profits made go directly back into the group to facilitate the continuation of the group. The South Devon Players primarily (although not exclusively) perform family-friendly theatre shows based on history and legends, (with a majority relating to Devon stories), in venues ranging from the street, pubs and social clubs, through to arts centers and theatres. able to access theatre and live drama in a traditional theatre. Members are usually aged 16 through to 116, although occasionally younger members will be admitted, with written parental permission and mandatory attendance of parent/ legal guardian at all rehearsals and shows. Starting skills range from experienced in performing arts, through to complete beginners. Members may also join to develop specific skills, either in a personal level or tied in with school/ college work experience. The theatre company has no religious or political bias, and remains strictly non-partisan, in order to allow people to enjoy shows and participation, regardless of religion, or political views. Audiences range across all ages and are local to, or visiting the venues at which the performances take place. We support local (Torbay and South Devon) events/ groups/ festivals, with performances whenever possible (subject to availability of members to put on shows).